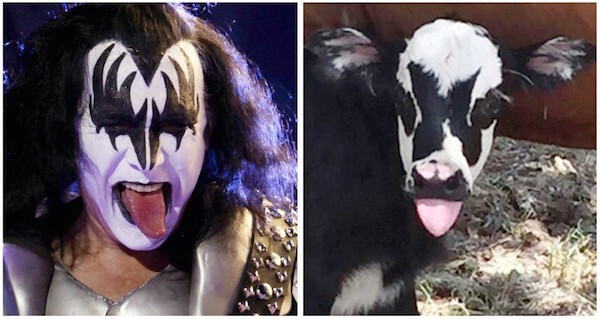 Found on the 9 News website: A calf has been born on a Texan ranch with striking similarities to KISS rocker Gene Simmons. The calf, named Genie by the Taccetta family who live at the ranch, dons black and white markings similar to Simmon’s stage makeup. Simmons is thrilled with the discovery of the newborn, with a tweet showing his appreciation. What a great day to be alive in the musical world. Genie is a family favourite so will be kept safe for the rest of its life.